The XUV monochromator beamline installed at FLASH is a high-resolution plane grating monochromator of SX 700 type which allows different classes of experiments to be performed in the fields of gas phase physics, magnetic spectroscopy, high resolution photoelectron spectroscopy, surface chemistry, soft x-ray diffraction and holography. 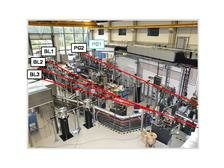 The PG beamline layout permits a free choice of best compromise between photon flux and resolution. Thus, it provides enough flexibility over the broad parameter range of FLASH to enable high resolution applications, pump-probe experiments with control over the temporal-spectral properties at moderate resolution, and high photon flux experiments with the option of harmonic filtering. 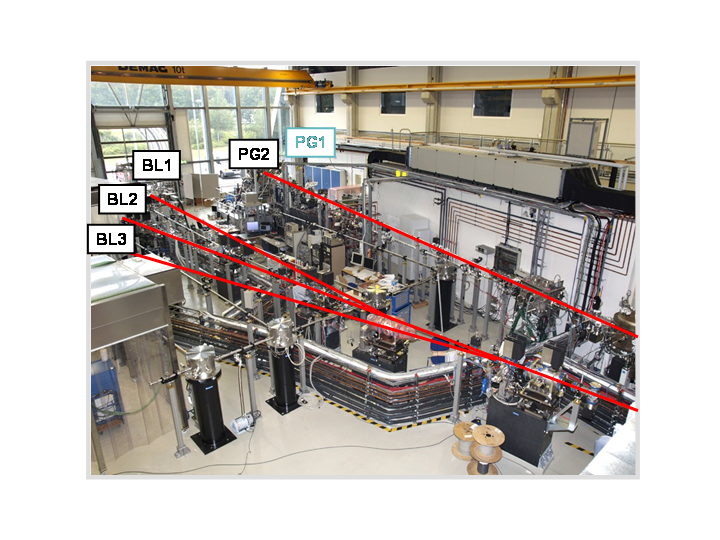 The PG beamline has two branches: PG1 and PG2.